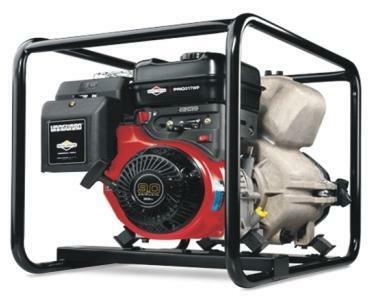 4" Trash pump powered by briggs and stratton 420cc available with recoil or electric starting system. Tagline – “Innovative Engineering Combining Sports & Power”. ‘Lawncare’ Brand professional lawn & Garden Equipment. Our firm (ISO9001:2008) Ha-Ko Group was set up in the year 1978 by Founder Mr Harish M Patel as the prominent name responsible for manufacturing, exporting, distributing, trading, wholesaling and importing Sports Ground Equipment. Originally started with manufacturing of Road Construction machinery under Brand name 'Tiger' (registered trade mark), offering 4 ~ 12Ton Road rollers, Vibratory Tandem rollers, Concrete mixers, concrete cutters etc. In Year 1998 Ha-Ko Engineering started Diversifying the Product range and focusing in other growing sectors like sports and Power industry. Where introduction of sports ground Rollers, Bowling machines, Aquasoakers, sight screens, various Lawn mowers and ground care equipments. Ha-Ko Group was the first one to introduce Mini Aquasaokers 36" & 48" in India, an ultimate ground drying solution.Our ‘Tiger’ Brand Cricket pitch rollers is the only machine having Hydrostatic transmission (variable speed) is capable to deliver the required result as per Cricket Groundsman. The rollers are offered in walk-behind, Stand-on and Rideon type models with option of different weight and rolling width. In Year 2004 Ha-Ko Enterprise started distribution of 'Bola' ball machine in india as Exclusive distributor. In Year 2006 Ha-Ko Enterprise was appointed as Distributor & OEM for Briggs and stratton Engines. The complete fabrication operation is done utilizing the latest CNC cutting machines technology, assorted at our ultra-modern infrastructure based in Goregaon & Vasai workshop. The complete working structure has been kept coordinated & organized, ordered by our experienced professionals. Our professionals carry out the complete business task in a fruitful way, following and maintaining industry laid parameters, so that outcomes offered must be flawless in configuration. To provide our customers complete satisfaction, we are dedicated towards meeting the industry laid standards and thus, import some of our products from UK, US, China and Italy. We are here engaged in our profound business to bear the promised specifications in terms of product quality. As introduced qualitative products, we have strengthened our market spot and are exporting our products like Cricket rollers, Aquasoakers, Lawn mowers to Middle East Countries and South Asia. Our company is very appreciated by firms Like BCCI (Board of Cricket control in India), ICC (International Cricket Council) & ACC (Asian Cricket Council). We are proud to say that more than 1000 nos of mechanised (engine powered) Rollers are now working in indian and overseas (export) cricket grounds, we have achieved this volume with in last 20 years. Our mechanised Aquasaokers has now reached the supply of over 200 nos in only 6 years of period. Our facility - 3 different manufacturing workshop units for different products approx 14500 sqft, showroom of 2000 sqft, sales and marketing office of 1000 sqft, warehouse of 6000 sqft. Our company believes in providing latest technology equipments to indian market at economical price and local service support.